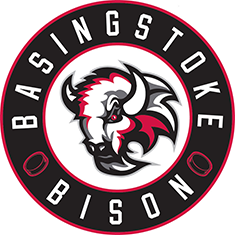 It was a 5-3 road defeat for the Invicta Dynamos on Saturday night but one from which they could draw numerous positives as the 14 man team pushed the Basingstoke Bison from puck drop to final buzzer. The Dynamos line-up was again limited with only 12 skaters available – Ondrej Zosiak, Joe Allen, Harrison Lillis and Ryan Giles all missing out for various reasons. Coach Kevin Parrish was also serving a one game bench ban and took a seat amongst the Dynamos fans throughout the game. The opening minutes was a tight affair with both teams matching each other well. Louis Colvin had the opening opportunity for the Dynamos which saw netminder Mettam comfortably save the backhanded shot before, up the other end, Russell Cowley screwed an attempt wide of Conor Morris’s net. The Bison had the first powerplay of the evening on 05:54 with young Dynamo Jake Stedman sitting two minutes for a late hit. Morris performed heroics during the powerplay, beating back efforts from Norcliffe, Jones and Ralph. Not long after returning to full strength the Dynamos fell a goal behind – George Norcliffe beating Morris on the rebound after the Mos netminder initially saved from Wilson. A second Bison goal came in the 16th minute – Danny Ingoldsby with a low shot which Morris got a hand to but the power of the shot was enough to beat him for 2-0. The visitors were awarded a powerplay on 18:37 after Chris Cooke was penalised for elbows but the Bison stood firm to close out the first period. The second period had the Dynamos pull a goal back on 21:38 – Matt Foord having a shot saved by Mettam but Brandon Miles was on hand to hit his first Mos goal for 2-1. The way side had Conor Morris to thank for keeping them in the running not long after that goal with his pad save from Bordowski keeping the scoreline tight. The visitors were then on the powerplay at 24:07 through an interference call on Ingoldsby but only 40 seconds later it was a 4-on-4 after Callum Best tripped Klejna in front of referee Blain Evans. Two big stops by Conor Morris at the halfway point of the game from Liam Morris (his brother) and George Norcliffe frustrated the home side. However, the Bison did grab their third goal on 39:24 with Liam Morris this time converting past his brother Conor Morris with ex-Dynamo Elliott Dewey claiming the assist. Tempers flared just before the end of the 2nd period when Bison import Bordoski made contact to the head of Conor Morris but no penalty was called, leaving the Dynamos enraged. In the third period the Mos scored early, benefiting from a powerplay – Ed Piacka with a beautiful shot into the roof of Mettams’ net – Louis Colvin claiming the assist for 3-2 on 43:51. Frustratingly for the Kent side they fell 2 goals behind again on 45:18 – Ex-Dynamo defenceman Tommy Ralph firing past Morris from a Cowley pass for 4-2. Danny Ingoldsby was then denied twice by Morris within a few minutes with both teams appreciating the next goal would be crucial to the outcome of the night. 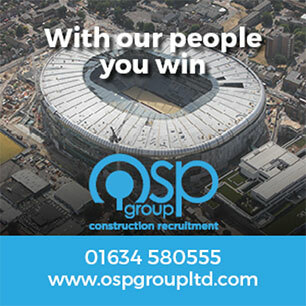 Displeasures were on show in the 53rd minute – Chris Cooke with a dig from behind on Brandon Miles and Miles turning round and only needing the one punch for Cooke to stay down and not look to get involved in any rough stuff. Both players were sent to the penalty box and given two minutes each but were soon joined by Callum Best on 53:45 on a slashing penalty leaving the Mos defending a 4 on 3. The Bison made the most of attacking the 3 Dynamos skaters and scored a decisive fifth goal on 54:31 through Adam Jones for 5-2. The visitors did get a consolation goal on 59:39 – Colvin and Piacka creating for Martin Susters to fire past Mettam to end the scoring at 5-3 in favour of the Bison.